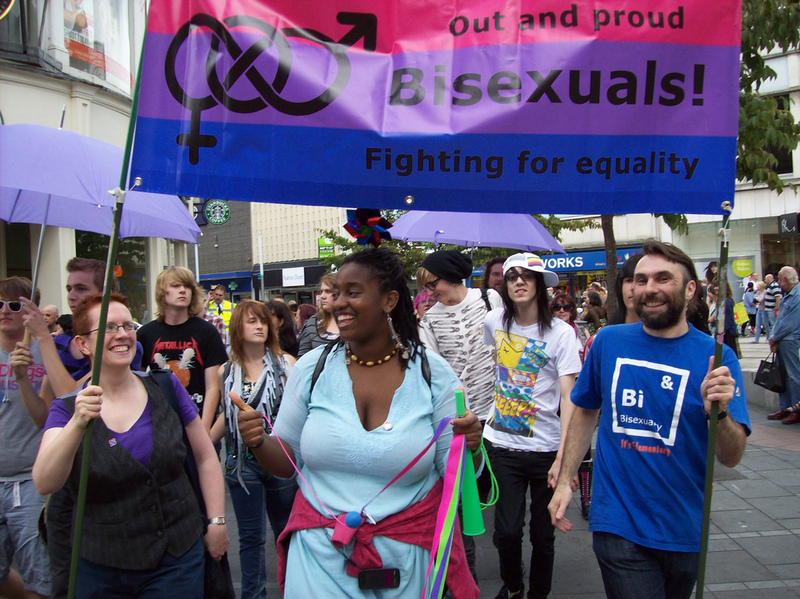 Bisexuals must be empowered to determine their own sexuality and their own experience of sexual attraction. Photo: S Fred Langridge | FlickrCC. There’s no course on figuring out your sexuality. There’s no Meyers-Briggs-type-test that churns out neat little paragraphs about where exactly you stand on that unpredictable spectrum. Life isn’t that convenient. If you’re still figuring things out at 25 or 55, congratulations, you’re exactly like the rest of us. If you’re bisexual, there are fewer resources than most. This article will only be another tiny drop in a too-empty bucket, but here goes. A few words about being bisexual to keep in mind: and many of these words apply to being pansexual or omnisexual, as well. You still have preferences. Bisexual doesn’t mean indiscriminately attracted to everyone. Your individual preferences might leave out 99% of one gender and include 99% of another, but you are still totally bi. You could be attracted to people of all genders in the same way. (You always love long hair, or a certain kind of humor, or you’re really, really into people who knit). You might not. You might be powerfully attracted to men who whistle and women who dance, without overlap. You might be attracted to bodies in one gender and minds in another. Still bi. You might only ever have romances with one gender. As long as you’re still attracted physically to more, you’re still bisexual. You might have finely tuned radar for knowing when women are flirting with you, and be utterly oblivious to it in men. You might never know when anyone is coming on to you, even when your friends say it’s really obvious. That’s not even part of being bi, it’s just part of being human. We have no standard setting for our mutual-interest radar. This is the important tip, maybe the most important tip: You can be in a committed, life-long relationship with a person of your own gender and still be bi, not gay, or of another gender and still be bi, not straight. Bisexuality is internal, intrinsic to you and you alone. Your partner may determine your sexuality, whether you’re with them a night or a lifetime. Your sexuality comes from you, yourself, and no one else.